It’s the number one way to trip around New Zealand and so can get booked up quickly, particularly during peak season. The busiest season is Summer which runs December through to February. We booked our campervan through Wilderness Motorhomes and opted for the Vista 2 which sleeps 2 people. 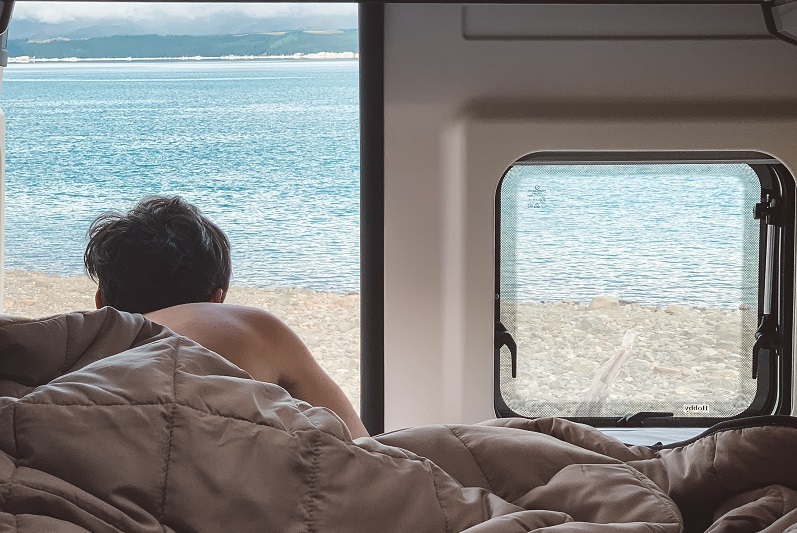 It was a dream van, had everything we needed, including doors that opened at the back to enjoy the stunning South Island scenery. There are many sizes and models available sleeping 2-6 people, including options for both motorhome and campervan style. Do yourself a huge favour and download the Campermate app (it’s free!) to your phone before you go. 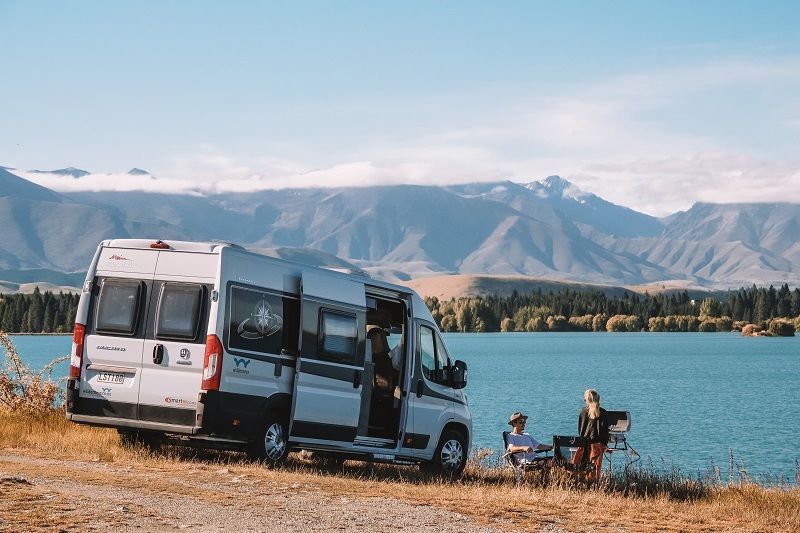 Campermate provides information on everything you could possibly need whilst on your adventure including all camping spots, paid, low cost and freedom camping areas, the closest petrol station, grocery store, dump station and water pumps. It helps to plan your trip in advance as well as while you are on the road. One huge bonus is that it runs offline, so no signal needed. 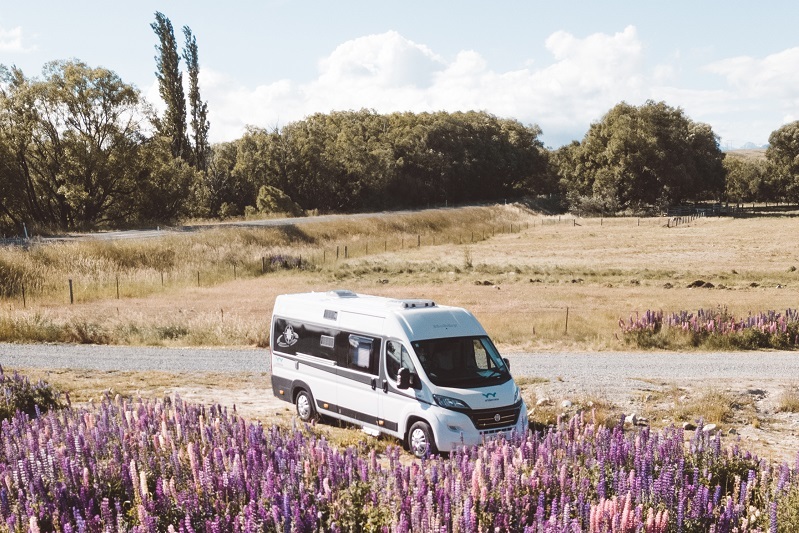 Although our campervan had onboard WiFi which we would highly recommend for convenience, there are still areas in New Zealand that you will struggle to reach any signal, particularly down amongst the Southland and around the Milford Sound area. Download your maps (through Google) so that you can run this offline or utilize apps such as maps.me. New Zealand is very well sign-posted but always good to have maps as a backup, especially if there’s a specific spot you would like to reach. Worst case, you’ve always got your hard copy road map! It’s always good to have a rough plan in mind of where you’re headed. This maximises your time when you are on the road, not worrying in which direction you are heading and just enjoying the drive and the scenery. There will undoubtedly be many unexpected stops along the way, and places of interest that are a nice surprise along your route. 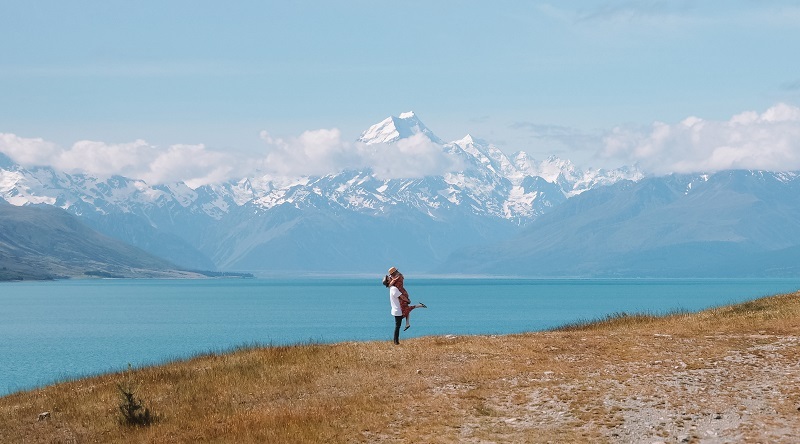 New Zealand is a place you do not want to have to rush, it’s a place best enjoyed slow, be realistic with your time and don’t try and cram too much in. If you don’t get to see everything, trust us you will want to return! Are towels already provided? 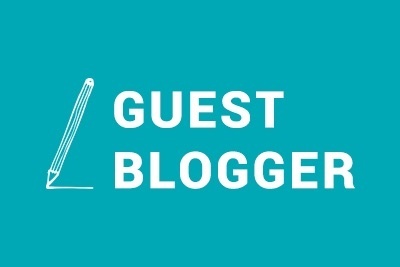 What about bed linen? Do you have camp chairs and an outdoor table so you can enjoy the scenery? Ask these questions in advance, it allows you to plan better when packing and minimize bringing anything unnecessary. Most campervans provide the basics, but it’s worth checking prior to booking. Van Insurance. We always go for the highest possible for ‘peace of mind’ when we are on the road, if anything does go wrong we know we are covered. Trust us, it’s worth the extra $$ Remember - You are not the only tourist on the road. Camping site. Although you may be freedom camping, there will be times that you need to plug in the van for electricity and these campgrounds you will need to pay for. We did this every 3-4 days in order to charge the van, empty the dirty water and treat ourselves to the amenities on offer! For these try and book ahead, even if 24 hours in advance as they can get busy during Summer periods. Lock your fridge! Door swings on the motorway are not ideal. Prepare to stop a lot for the beautiful scenery and some great photos! Check out freedom camping information on the Department of Conservation website for a good understanding on where you can and cannot park your motorhome for the night. As long as your motorhome has the blue sticker ‘self-contained vehicle’ you’re able to freedom camp around New Zealand. This was a life saver! There will be occasions where an emergency stash will come handy, particularly for low cost campgrounds. At these campgrounds you are required by the Department of Conservation (DOC) to leave the payment in a sign posted box, these usually cost between $8 – 13 per person per night. These campgrounds are checked regularly by DOC rangers, it’s not worth the fine! Try and break up your change so that you have the correct money and not over-paying unnecessarily. Did we mention sand-flies are the devil? If we can leave you with one tip... Don’t forget bug spray!! !